Big changes and big money are on the way for Alaska cannabis in the upcoming year. Alaska joined the national green rush in 2014, and then spent 2015 hashing out regulations and 2016 scrambling to build out grow operations and retail stores to meet those rules. In 2017, Alaska’s cannabis entrepreneurs will ramp up into a full-fledged industry, with developed supply chains feeding a ballooning number of retail stores. The industry will finally make the kind of money necessary to bring in tax dollars, and political influence could grow as a result. Already, Alaska has a number of operational cultivators and retailers across major and minor population centers. Sales kicked off with Valdez’s Herbal Outfitters and Fairbank’s Pakalolo Supply Inc. in late October, followed by Rainforest Farms in Juneau. 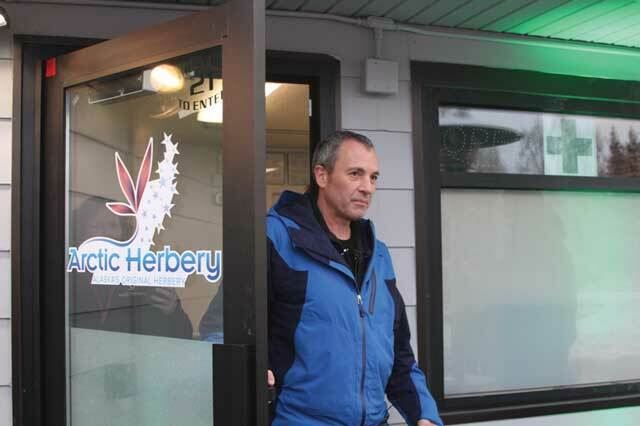 On Dec. 15, Anchorage saw its first retail opening at Arctic Herbery, beating the Dec. 17 opening of Alaska Fireweed as the first entrant to the state’s largest population center and cannabis market. A handful of additional Anchorage stores will pop up in the coming months, finally having navigated the intensive dual licensing process required by the Anchorage Assembly. Supply issues will begin to ease as more and more cultivators bring their products to market. Currently, the level of finished cannabis products in the state doesn’t allow for the kind of widespread consumer base necessary to bring the Alaska market to the same levels seen in Lower 48. In some cases retailers have either run out of product to sell or have limited the amount of product their customers can buy. The state’s take of the industry’s taxes will increase, though nobody knows by how much. The Alaska Department of Revenue took its first cannabis tax payment of $5,600 in November at a specially purposed Anchorage drop box. In 2017, estimates place Alaska’s cannabis tax revenue somewhere between $5 million and $12 million. Both industry and regulatory leadership will undergo changes. Marijuana regulations could look far different in 2017 than the helter-skelter period between 2015-16. Several of the most influential regulatory voices are gone or on their way out, leaving 2017 to an entirely different dynamic. Cynthia Franklin, executive director of the Alcohol and Marijuana Control Office, resigned from the position on Dec. 5. AMCO falls under the auspices of the Alaska’s Department of Commerce. Commissioner Chris Hladick will need to hire another, which could potentially change the atmosphere of meetings and the color of ever-changing regulations. Franklin had a conservative approach to regulations compared to other states, and a hands-on approach to managing the board, often arguing with former chairman Bruce Schulte over policy points. Throughout her two-year tenure as the Marijuana Control Board’s director, Franklin frequently butted heads with the industry members on the five-member board over items like servings limits, buffer zones between businesses and protected areas and advertising restrictions. The board itself may change as well, with one of its more conservative voices and its wild card having terms expire at the end of February 2017. Fellow board members are quick to praise Peter Mlynarik, Chief of the Soldotna Police Department, for his diligence as the board designated public safety member. He ran afoul of the industry eventually, however, when he collected signatures for a Kenai Peninsula Borough commercial cannabis ban following a record of conservative policy positions. Bethel’s Mark Springer, the board’s designated rural member will also have his term end in 2017. Springer’s record as the board’s informally designated tiebreaker has been well earned, swinging on both conservative and industry-friendly sides of innumerable issues that split board votes in half. Stakeholder leadership will continue to evolve as well as the industry makes more and more money. In 2015 and 2016, the Alaska marijuana industry lacked the kind of central political and industry leadership some Lower 48 states have in the form of lobbyists or well-funded trade associations. Several organizations will vie for the top spot. Among others, the Anchorage Cannabis Business Association, the Alaska Small Cultivators Association and the Alaska Marijuana Industry Association form a cluster of interests, which sometime collaborate and sometimes collide. Two of these industry associations have leadership crossovers with the Marijuana Control Board. AMIA’s president, Brandon Emmett, will sit on the MCB until 2019, a year longer than any other current member, and ACBA’s president Nick Miller will sit on the MCB until 2018. Emmett’s position as AMIA president could potentially change next year, as AMIA will hold a public vote to elect new board members. Given his public and industry visibility and place on the Marijuana Control Board, electing a different president may not be likely.